Great imaginations are required to stage productions at the Finborough, where the plays selected are very often ones that can’t be envisioned by most of us in such an intimate space. Time and again, the shows succeed despite the theatre’s size. And then there are the plays that are actually enhanced by the scale of the theatre, like the recently opened Therese Raquin in which the dark passion smolders more and the claustrophobia of the characters only more oppressive because of this particular space. Add this to your list of plays to see in the next few weeks. 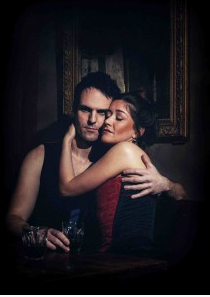 Therese Raquin, theatre review – Reviews – Theatre & Dance – The Independent. This entry was posted in Book Tickets Now!, Theatre and tagged #londontheatre #london. Bookmark the permalink.